Latches, locks, lift rings, pulls, etc. 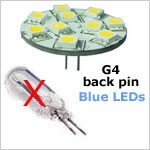 Anyone can buy & sell LED bulbs. 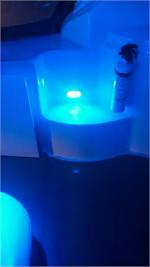 But not all LEDs are ideal for marine applications. We have searched, located, and tested the best bulbs for each type of boat light based on fit, durability, and light output. If your light fixture is OK, why replace the whole thing? No wiring changes needed! 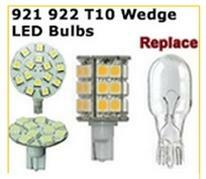 Upgrade your old halogen or incandescent lights with true marine grade LED bulbs. Lower power draw, cooler operating temperatures, and long life make replacing your old style bulbs with LED a great idea! Replace your hot energy sucking halogen bulbs with cooler low amp draw LED bulbs without having to change the fixtures! 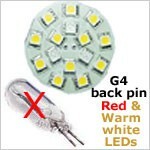 Great light output, even color changing LED bulbs are available. 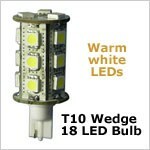 Wedge base bulbs are usually found in courtesy lights and reading lights. If you are replacing courtesy light bulbs, check out our red, blue, and white 5-way bulbs that are compact and throw light in all directions! 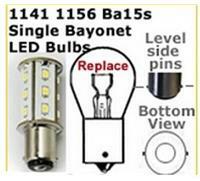 Replace old glass festoon style bulbs with LED bulbs and reduce power consumption and heat! We have warm white, or change to red or blue for a different look! Check the base of your bulb to see if it has one contact on the bottom, or two contacts. 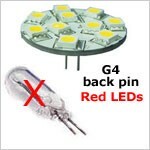 If it has two, these are you replacement LED bulbs! 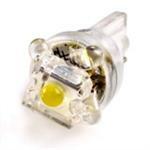 If it has one, check out the single contact bayonet base bulbs! Check the base of your bulb to see if it has one contact on the bottom, or two contacts. 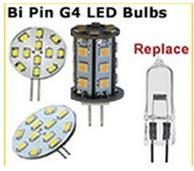 If it has one, these are you replacement LED bulbs! 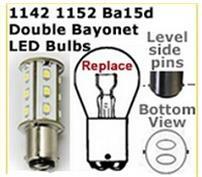 If it has 2, check out the double contact bayonet base LED replacement bulbs. 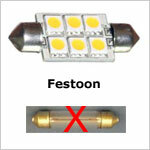 Warm white LED festoon bulb.